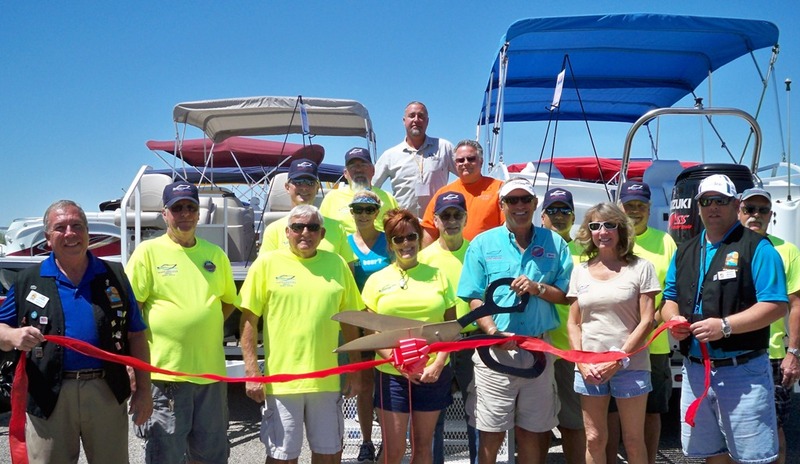 The Lake Havasu Area Chamber Ambassadors held a ribbon cutting ceremony for the Lake Havasu Marine Association celebrating its 15 year anniversary with the Chamber and the opening of the 22nd Annual Boat Show. Attending the ribbon cutting were Tom Otero, Ron Buckholtz, Gary Young, Vicki Young, Bill Mackie, John Perkins, Roger Saltzman, Butch Stark, Cyndi Salscheider, Donna Morrison, Stu Elam, Jim Salscheider, Bob Brown and Dennis Weuve. The Lake Havasu Marine Association strives to provide a safe and clean lake and river environment as well as encourage the amenities necessary to enhance the boating experience in Lake Havasu for the benefit of the industry, its members and the boating public. For more information contact the Lake Havasu Marine Association at (928) 208-2442.